The tem­per­a­ture con­trol unit with two chan­nels of the series cellVivo elec­tri­cal­ly heats var­i­ous PeCon com­po­nents. 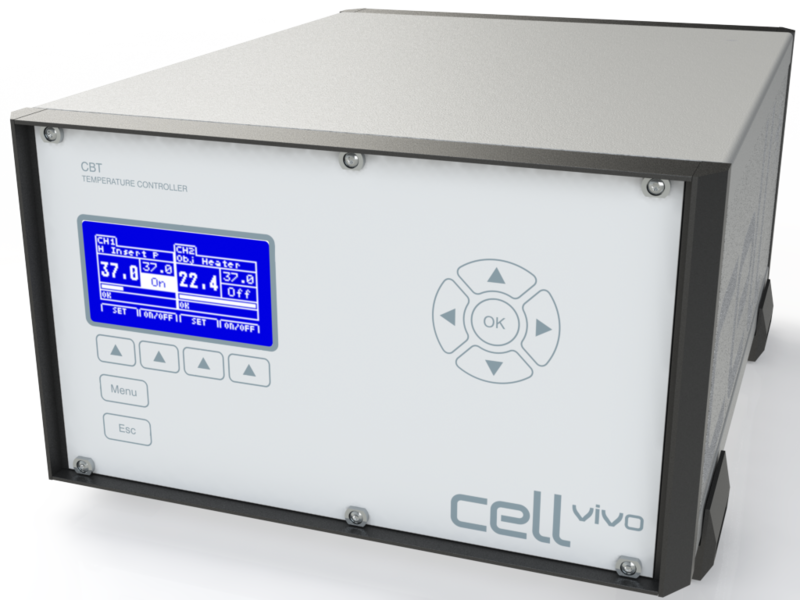 The Tem­p­Con­troller 2000-2 cellVivo has been exclu­sive­ly designed for Olym­pus and can be used with all devices of the Incu­ba­tion Sys­tem cellVivo design and PeCon’s Sys­tem 2000. Power consumption 200 W max. Incubators, Inserts, Universal Mounting Frames, Microscope Stages etc.